Efi Foufoula-Georgiou is a Distinguished Professor in the Departments of Civil and Environmental Engineering and Earth System Science at the University of California, Irvine. From 1989-2016 she was a faculty at the University of Minnesota as a McKnight Distinguished Professor in the Department of Civil, Environmental and Geo- Engineering, the Joseph T. and Rose S. Ling Chair in Environmental Engineering, and a Founding Fellow of the Institute on the Environment. She has served as Director of the NSF Science and Technology Center “National Center for Earth-surface Dynamics” (NCED) and Director of the St. Anthony Falls Laboratory at the University of Minnesota. She received a diploma in Civil Engineering from the National Technical University of Athens, Greece, and an M.S. and Ph.D. (1985) in Environmental Engineering from the University of Florida. Her area of research is hydrology and geomorphology, with special interest on scaling theories, multiscale dynamics and space-time modeling of precipitation and landforms. She has served as associate editor of Water Resources Research, J. of Geophysical Research, Advances in Water Resources, Hydrologic and Earth System Sciences, and as editor of J. Hydrometeorology. She has also served in many national and international advisory boards including the Water Science and Technology Board of NAS, NSF Advisory Council for Geosciences, NASA Earth Sciences Subcommittee, and EU advisory boards, as well as a member of several NRC studies. She was the chair of the Board of Directors for CUAHSI (Consortium of Universities for the Advancement of Hydrologic Sciences) and a member of the Board of Trustees of UCAR (University Corporation for Atmospheric Research). She is currently a presidential appointee to the Nuclear Waste Technical Review Board and the elected President of the Hydrology Section of AGU. 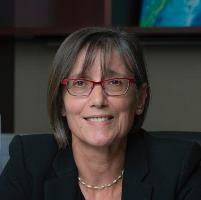 Professor Foufoula-Georgiou has been the recipient of the John Dalton Medal of the European Geophysical Society, the Hydrologic Sciences Award of AGU, and the Horton Lecturer of AMS. She is a fellow of the AGU, AMS, AAAS and an elected member of the European Academy of Sciences and the National Academy of Engineering (NAE). Major research interests are in the area of stochastic modeling of surface hydrologic and geomorphologic processes. Current areas of research include modeling and estimation of space-time rainfall from multiple sensors, stochastic theories of transport on the Earth's surface, river network dynamics, channel morphology, and hydrologic response. All these research topics have the common thread of exploring space-time statistical signatures over a range of scales and relating them to the underlying physical processes. Modeling is pursued using minimal complexity models that explore re-normalization and patterns.